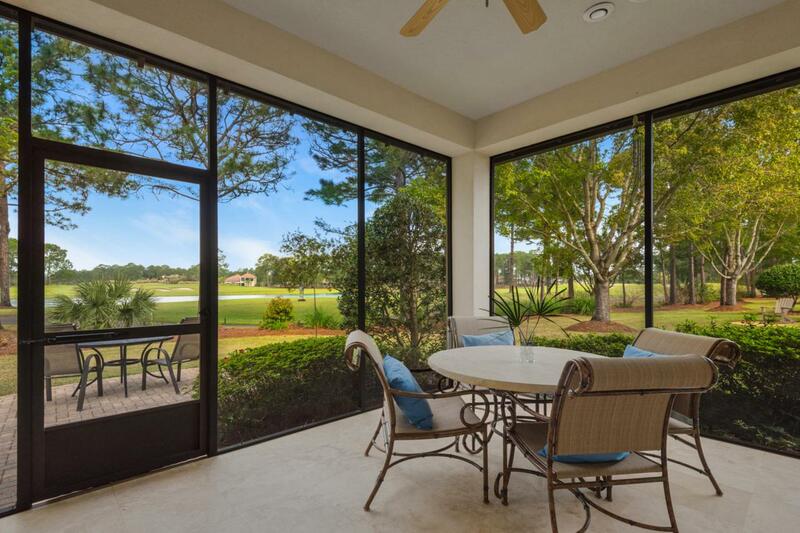 This three bedroom residence in the Vineyards neighborhood of Sandestin offers the flexibility of courtyard living with incredible golf course views. As you enter the peaceful courtyard, you will notice every detail including heated pool, screened lanai and tranquil water feature. 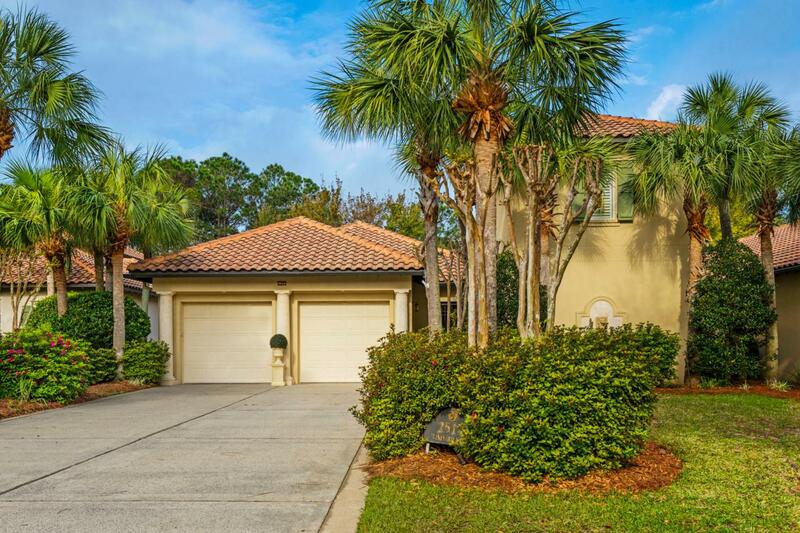 The main house offers a gourmet kitchen with granite countertops, stainless appliances and under counter ice maker. The master suite is a private oasis featuring golf course views and an expansive bath with dual vanities, soaker tub and seamless shower. The guest bedroom offers an ensuite bath which can also serve as a pool bath. This very special home is optimal for those looking for a separate guest house with its own living room, morning kitchen and bedroom. 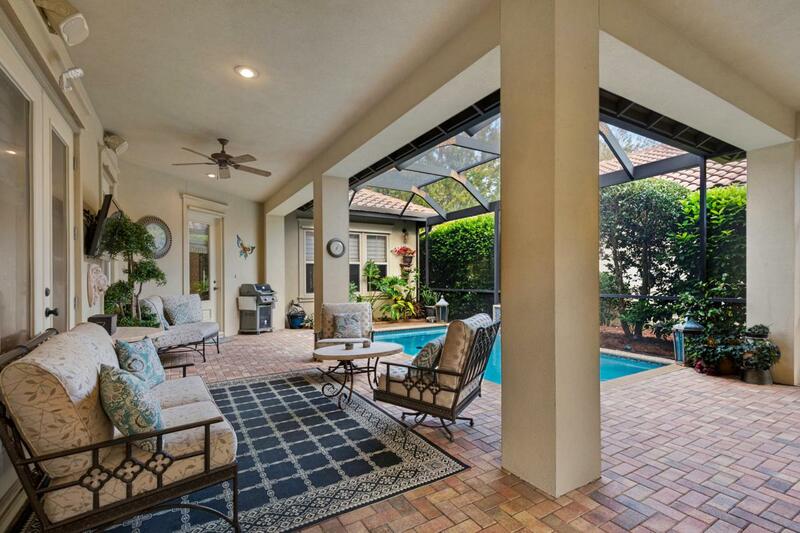 Enjoy taking in sunsets from the additionalscreened patio on the back of the home. Additional upgrades include crown molding, whole house audio system and temperature controlled storage. 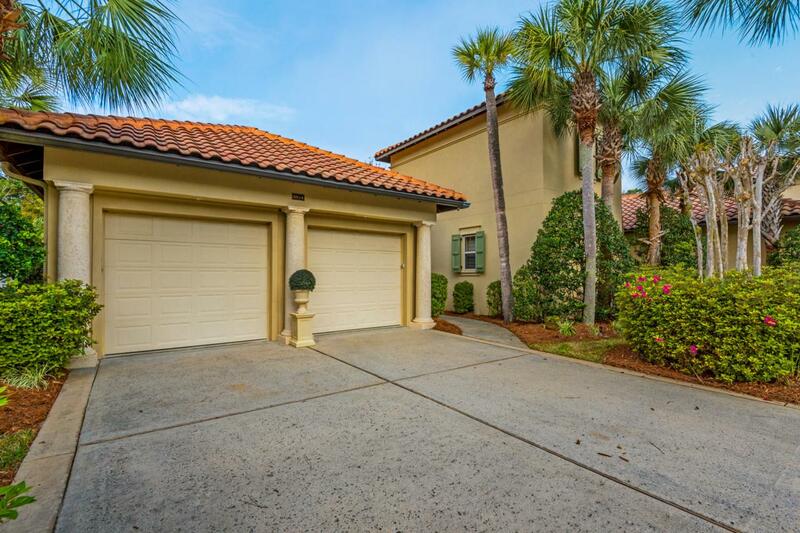 A 6 seater golf cart will convey with the purchase of this property.